I really like the products that I've tried from YogaAddict. 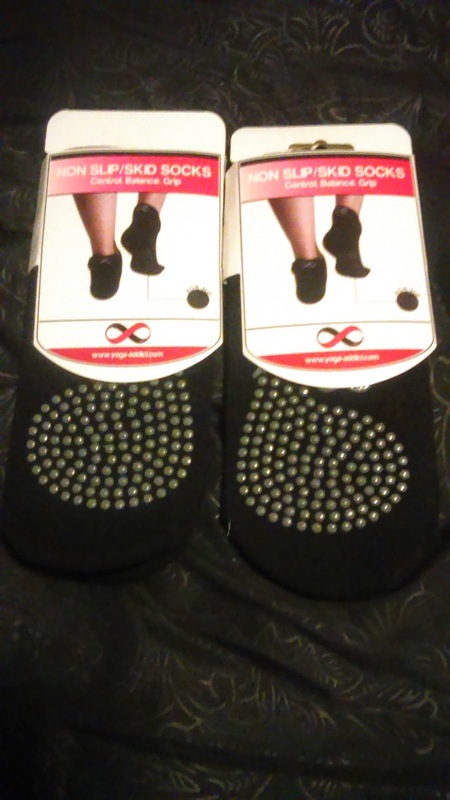 This time I was given the opportunity to try out a couple of pairs of their non slip skid yoga socks. These socks are some of my new favorites to wear even just around the house. I'm pregnant, my feet swell sometimes, and get sore. I need the extra cushion and support that these socks do provide. Yes, they are also perfect for yoga, which can also works wonders during pregnancy too. 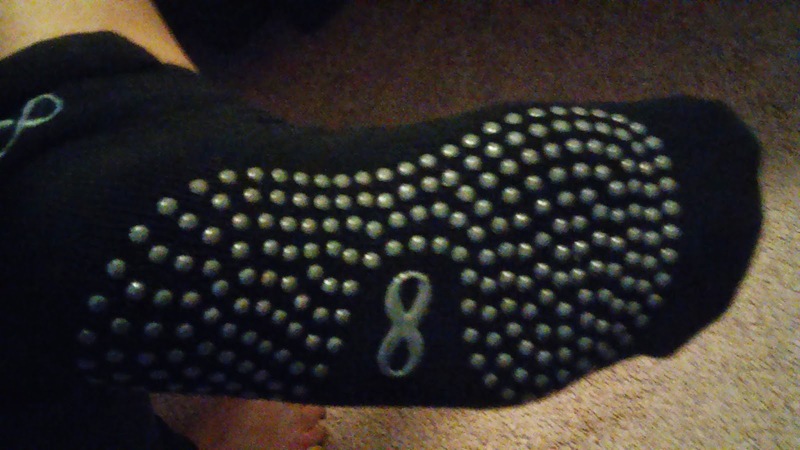 These socks have grips that keep you in place. 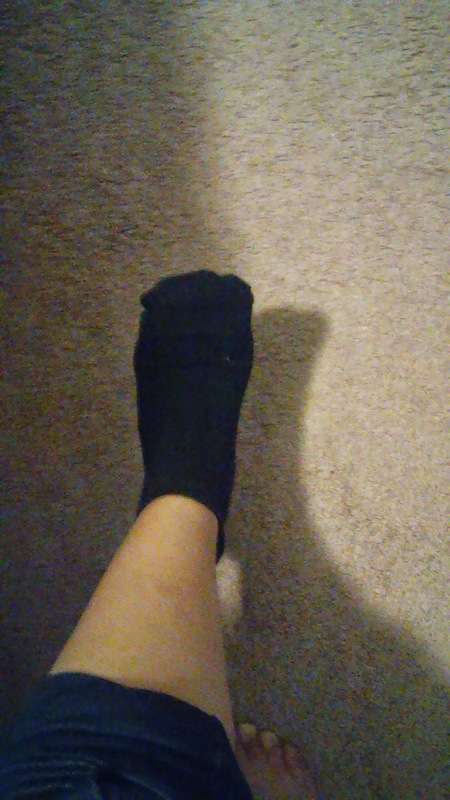 I need socks that do this because now that I'm getting bigger, I tend to lose my balance from time to time. These socks keep me from slipping on the bathroom and kitchen tiles. This pair is the perfect size, not too small, not too big, but perfect. I can even wear these with certain pairs of sneakers and they work better than some insole inserts and shoe cushions. My feet don't ache after I've worn these socks all day. I'm more than likely going to stick a pair of these socks in my hospital bag for when I go into labor. I would prefer to wear these socks over the hospital socks that they provide. I'd take these on vacation too because sometimes I take my shoes off in the car and at least my feet can be up and stay comfortable on the trip too. 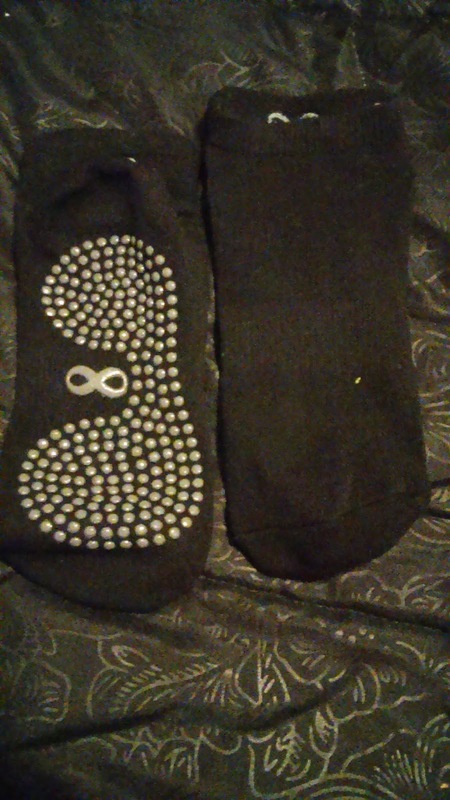 These ultra comfy socks are available for purchase on Amazon.